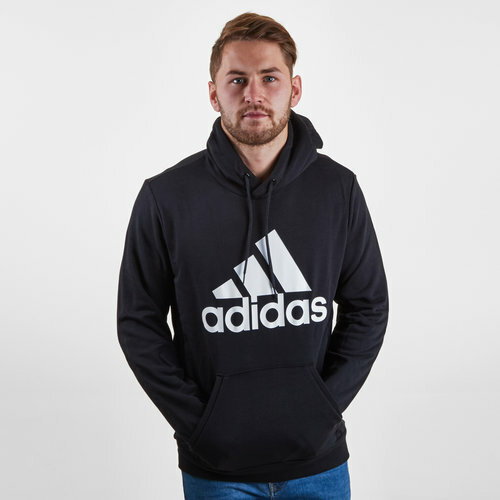 A classic pullover with a classic design, this adidas badge of Sport Logo Hooded Sweat in Black and White is perfect for every day. This hoody has been crafted from a soft cotton blend French Terry fabric which will keep the wearer comfortable even during an active day. This hoody has a drawstring hood so you can create your own fit whilst the kangaroo pocket allows you to store away any valuables. It features the adidas Badge of Sport in the centre on the front.